Aggregate of very well defined dipyramidal crystals as usual. 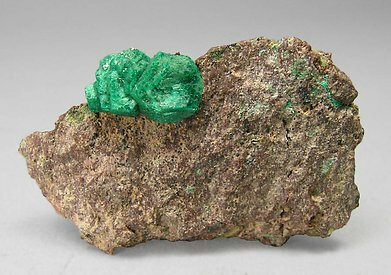 They are bright, have a uniform green color and are on a limonite matrix. 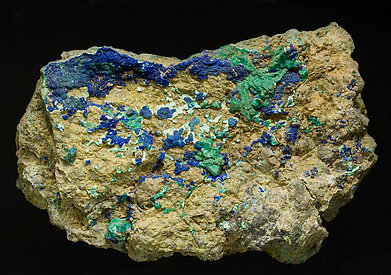 The sample, from the type locality, comes from an old collection. A magnificent miniature. The main crystal, of very good size and color, has perfect definitions of faces and edges, which is rare for the species. Aggregates of laminar crystals of a very big size for the species. 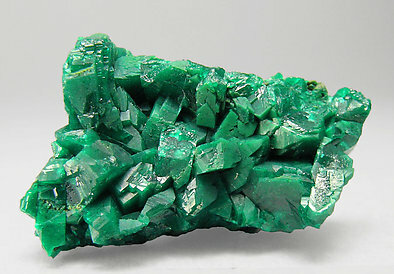 They are very sharp, extraordinarily translucent and with very deep green color. A great miniature. A novelty at Ste. Marie 2009. Very well defined crystals of lenticular form of considerable size for the species. They are on matrix and have excellent color, very vivid. The sample is from a recent find in a new Slovakian locality that was only recently discovered. 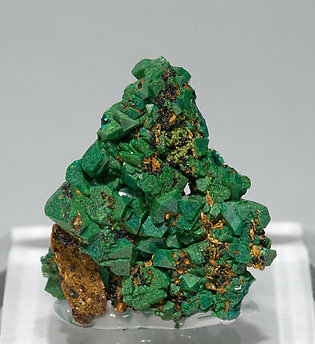 Small miniature with a group of crystals, on matrix, of very well defined faces and edges and an excellent color. From the Slovakian locality that is a classic for the species. It is group of very well defined crystals with an excellent luster and very good, very deep color. 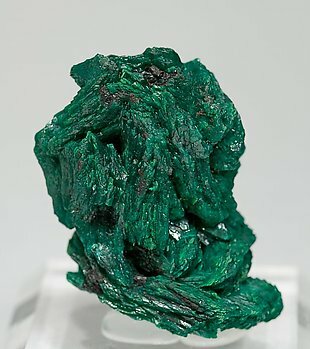 Aggregates of crystals with very well defined faces and edges, very bright, with a very intense and deep green color and scattered on a rocky matrix. 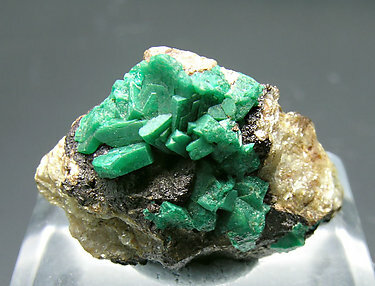 The crystals, even though not especially large, are really abundant and have very good quality. 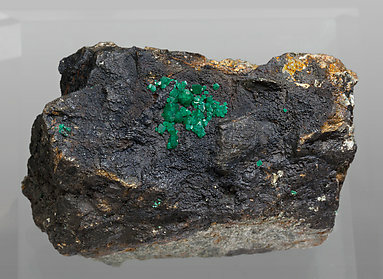 Group of Euchroite crystals on matrix. They are unusually sharp, have a very uniform, intense and deep color and an extraordinary luster for the species. A novelty at Ste. Marie 2009. Very well defined crystals of lenticular form. 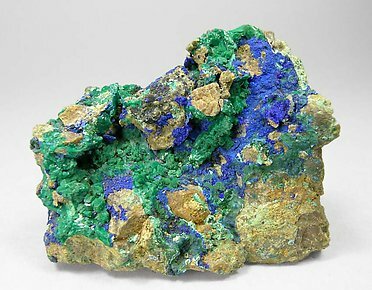 They are on matrix, with Azurite, and have excellent color, very vivid. The sample is from a recent find in a new Slovakian locality that was only recently discovered. 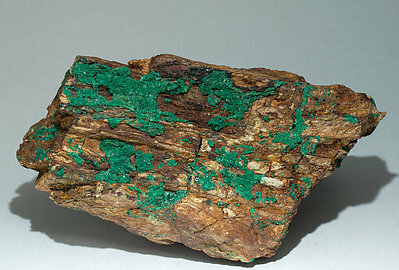 Euchroite from the type locality. 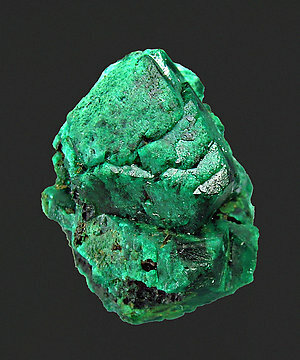 Groups of crystals with very well defined faces and edges, excellent color and luster and on matrix, with concretionary growths of microcrystalline Azurite.